Nepal isn’t really known for its athletic advancements. Although we have a lot of strong and skilled people who could make it to top-level international competitions if they are given the right opportunities, their athletic careers stagnate because they don’t get much support. 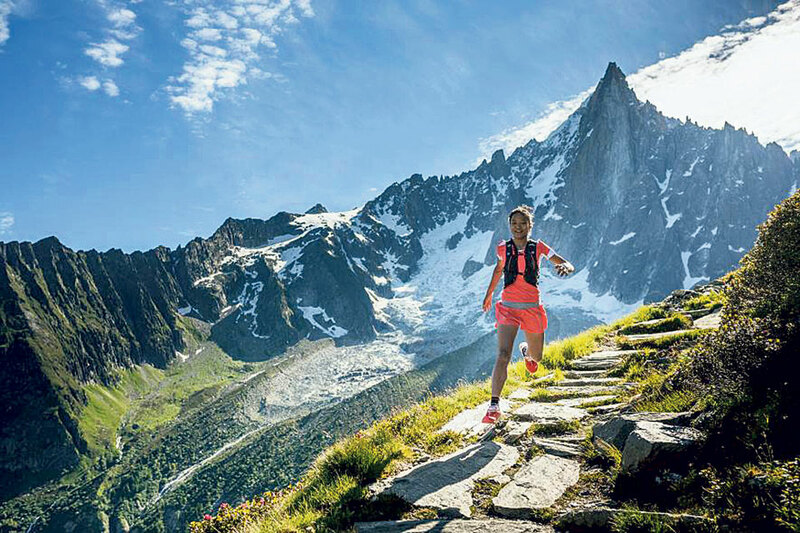 One athlete who has overcome all challenges and is making a name for herself in the global arena is trail and sky runner Mira Rai. Born in a poor family in a rural village in Bhojpur district, Rai spent her childhood doing laborious works from dawn till dusk just to make ends meet. She mentions that because the schools were very far away from her home and she couldn’t afford the luxury of studying when working during those hours would ensure the next meal, she couldn’t continue beyond the sixth grade. During her mid-teens when Maoist rebels arrived at her village, she joined them and left her hometown. “I just wanted to do something that would help my family economically. I didn’t have any plans for my future and I saw joining this group of people as my last chance of helping my family,” she says. While traveling all over Nepal with this group, she says that she learned a lot of valuable life lessons and skills that she wouldn’t have back in her hometown. She remembers passing through dense jungles and even having to sleep there if the situation called for it. Rai says that all of it taught her the value of hard work and prepared her for life ahead. Rai claims that perhaps one of the most important things she learned during this time was karate. She mentions that since she had been traveling around with strangers, she learned it just to protect herself in case anything did happen. She holds a black belt in karate now. Besides that, she also learned a lot of other activities – mainly physical activities and developed a love for outdoor sports and running. “All I did back then was road running. I didn’t even know about trail running until I was discovered by the organizers of Himalayan Outdoor Festival,” says Rai who went on to win the 31-mile trail race during the event. She also mentions that she owes her career to her coach who stopped her from going abroad to work, and trained and guided her. Till date, she has participated in many international races, tournaments and competitions in different countries. Some of the most memorable wins for Rai include Sellaronda Trail Race in Italy in 2014 and Mont. Blanc 80km race in 2015 (where she actually made a new completion time record). She received the National Geographic Adventurer of the Year prize in 2016 and was also conferred the Asia Society’s 2018 Game Changer. Having landed in Kathmandu when she was still with the Maoist rebel forces, Rai mentions that she cleared her high school with the help of INGOs working in the field of women empowerment. She started her own organization, Mira Rai Initiative, last year to recruit youths who are interested in sports. Currently, she is funding and training five young women from all over Nepal who are passionate about competitive running. She says that she has achieved so much in life through her own hard work and the kindness other people have shown her and now, that she is in a position to help others, she will do so to the best of her ability. Even though she has already had her fair share of complications, life still hasn’t stopped testing her. A few months ago, Rai found out that she has been running with a torn ligament in her knee. She underwent a surgery to fix it about three months ago and is currently recovering. “If everything goes according to plan, I’ll start training again by late August and be out on the trail by early September,” she concludes.